So you thought the only way you could get a fancy vertical garden was to have a black cape architect design a super green building for you? Think again! Smith & Hawken has designed a wall mountable unit with angled cells for planting....think a trellis, with dirt! Very cool. While not available yet, the vertical garden should be debuting next month. 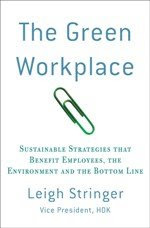 In the meantime, check out Smith & Hawken's green marketplace for other cool (and green) ideas. Martha Stewart did an article in Martha Stewart Living March 2006 about hanging copper gutter gardens attached to copper chains to form a natural green wall or screen that can also be adapted for such a use. Speedy is the premier Northern Virginia and Washington D.C. dumpster service and "Contractors Choice" serving the entire metropolitan Washington D.C. area.